Hoefler was choosing a name for an article about the semiconductor industry that he was writing for Electronic News. Ralph Vaerst, then president of Ion Equipment, suggested Silicon Valley. Hoefler named his article, ``Silicon Valley USA;'' it was a series that ran for 3 weeks, beginning 11 January 1971." 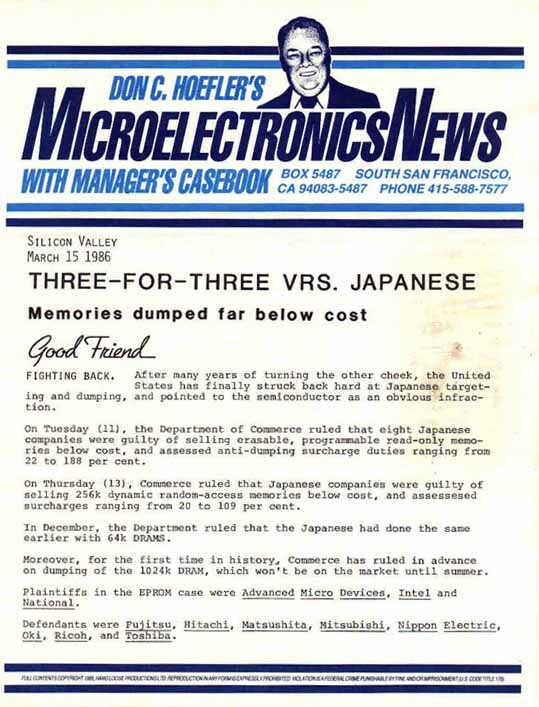 In 1971, in a series of articles that Hoefler wrote for ELECTRONIC NEWS, a weekly tabloid, he first used the phrase "SiliconValley" to describe the congeries of electronics firms mushroomingin Santa Clara county. "He pioneered the coverage of Silicon Valley as a distinct community," - said Michael S. Malone,author of a book chronicling the industry called THE BIG SCORE. "When we think of Silicon Valley as a collection of charactersand eccentrics, he's the one who put that whole idea in our minds,"- said Malone. Hoefler began his career in electronics journalism as a publicist for Fairchild Semiconductor in Mountain View. He subsequently worked as a reporter for Fairchild Publications, owner of ELECTRONIC NEWS, and then held editorial positions with RCA Corp. and with McGrawHill. (read more about Don C. Hoefler). On November 15, 1971 Intel created the world's first microprocessor: the Intel 4004. What does Silicon Valley mean geographically? Silicon Valley is an area that "located on the San Francisco, California, peninsula, radiates outward from Stanford University. It is contained by the San Francisco Bay on the east, the Santa Cruz Mountains on the west, and the Coast Range to the southeast. At the turn of the century, when fruit orchards predominated, the area was known as the Valley of Heart's Delight" - as Carolyn E. Tajnai, former Director (1988 - 1997) of Stanford Computer Forum begins one of her online-manuscripts that described Silicon Valley history. According to the Silicon Valley Joint Venture Index 2011, Silicon Valley Population: 3 millions; Jobs: 1.3 millions. Source: Joint Venture: Silicon Valley Network, Inc.
U.S. Bureau of Labor Statistics, September 08, 2009. The percentage of Asian tech workers grew from 39 percent in 2000 to just more than 50 percent in 2010 .... At the same time, white workers saw their more than 50 percent majority of tech jobs in 2000 fall to nearly 41 percent ... African-American and Hispanic tech workers each saw slight decreases: Positions held by African-American tech workers fell from 2.8 percent to 2.3 percent; those held by Hispanic workers dropped from 4.6 percent to 4.2 percent. Data sources: Census Bureau; San Jose Mercury News. Where is located the Silicon Valley of India? Some people suggest that the Silicon Valley of India is a nickname of the Indian city of Bangalore. That's correct but not substantially, because main part of India's Silicon Valley located in the San Francisco Bay Area. Of the total number of engineers and scientists in the [San Francisco Bay Area] valley, 28 percent comes from India, up from 20 percent a decade ago (Statistics offer glimpses into how Silicon Valley lives. By Scott Herhold, San Jose Mercury News. 02/23/2010). Indians have founded more engineering and technology companies [in US] during that past decade than immigrants from Britain, China, Taiwan, and Japan combined. Source: San Jose Mercury News, 2011 Silicon Valley 150 listings. Source: "Education and Tech Entrepreneurship" by Vivek Wadhwa, Richard Freeman, Ben Rissing. 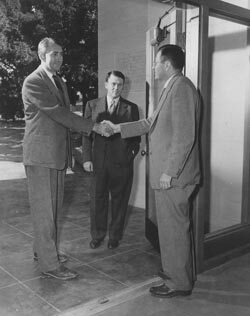 About 60 years ago, Stanford University had some financial problems. The authorities of university tried to resolve these problems by leasing part of the university land to high-tech companies for 99 years. First Varian Associates building, Stanford Industrial Park, Palo Alto, California, 1953. Source: 'Russell and Sigurd Varian - The Inventor and The Pilot', by Dorothy Varian. Palo Alto, 1983, p.258. The picture is reproduced here with Varian Associates permission since 1995. Is it a reasonable doubt or ... just invitation to the further discussion? For example, SRI had a building in Menlo Park (one that we still occupy) in 1947, several years before what you call the 'The First building of Silicon Valley: First Varian Associates building, Stanford Industrial Park, Palo Alto, California, 1953' on your web page at http://netvalley.com/. In 1995 William Hewlett decided to described in more details his own concept of Silicon Valley's birth. Supernova of Silicon Valley: What does it mean? Supernova of the Silicon Valley: Can we really see it ? Precisely because the Valley possesses the Renaissance qualities of being dynamic, entrepreneurial, innovative and wildly financially successful, it has become a model the rest of the world is keen to follow. But if what's being emulated places little value in old ideas of culture and has little interest in developing new ones, aren't we all aspiring to a debased ideal -- to an impoverished kind of Renaissance, devoid of much that makes life rich? Florence had entrepreneurial energy, education, ambition and technology; it also attracted Giotto, Donatello, Dante, Michelangelo, Brunelleschi, Petrarch and others besides. Who can Silicon Valley point to? If the Valley wants to find a way out of the binary thinking that opposes business success and high culture, it only has to look to Renaissance Florence for help. In his 'The Building of Renaissance Florence,' historian Richard A. Goldthwaite -- in an economic analysis rigorous enough to warm the heart of any Valley CFO -- considered the Florentine approach of building for prestige, history and art's sake and reckoned its worth to the city's economy. The building of the great architectural monuments of Renaissance Florence, he concludes, 'resulted in considerable internal development and, ultimately, a more mature economy...'RENAISSANCE GEEKS by Simon Firth, Salon.com, 2000. Despite its many contributions to the world economy, the technical community here in Silicon Valley is actually much smaller than most people believe. People end up making connections in strange ways and often these ties last for many years... My wife Wynnette and I went to dinner at the Flea Street Cafe in Menlo Park recently with a small group to hear a presentation on saving endangered species of domesticated animals such as the Cotswold Lamb. This farm and the organization that supports it was started by Robyn Shotwell Metcalfe...Robyn's husband is Bob Metcalfe, one of the two inventors of Ethernet. Bob and Dave Boggs invented Ethernet when they were scientists at Xerox Palo Alto Research Center (PARC) in the 1970s. Ethernet is also a huge factor in Finisar's past successes, as well as our future growth prospects. Bob went on to be the founder of 3Com, then to work as an insightful and articulate columnist for InfoWorld magazine. He recently became a venture capitalist with Polaris Ventures. Bob is witty, engaging, way smart, funny and an especially good writer. He is a technologist's techie. Dave Boggs (the other Ethernet inventor) was also at the Flea Street Cafe dinner with us. Currently, Dave is working on optical extensions for networks in the metropolitan area. He has steeped himself in the technology of networking since the 1970s. Another dinner guest was Ron Crane. Ron was a key technical contributor for 3Com from the very beginning of Ethernet. All of today's Ethernet adapter cards installed in the tens of millions of PCs throughout the world are related to the first adapter cards built and tested by Ron, who is still very well connected in the networking industry. You might think that I was invited to attend this dinner because Finisar is a major participant in the Ethernet industry through its Gigabit Ethernet transceivers and other Ethernet modules and because of a professional association I have with Bob. But that's not the reason we were there. We were invited to this dinner because my cat-loving daughter Alana attended preschool in the late 1980s with Julia Metcalfe, daughter of Robyn and Bob. My wife Wynnette and Robyn also became friends and have stayed in touch. At the time our daughters first met, Bob was already an industry icon and I had to use my wife's and daughter's friendships to wedge my way in with the Silicon Valley geniuses behind Ethernet. Bob and Robyn really liked Wynnette and Alana (and eventually me, too! ), so our family would often be invited to their social occasions. During those times I would listen carefully for pearls of wisdom on how Finisar could grow and make its mark on the world. One evening years ago, Bob and I talked about Finisar's early product line and he pointed out that since we were not supporting established standards, our appeal to the industry was being limited. Over the next few years Finisar changed our direction in line with Bob's counsel and this was a major factor in Finisar's growth during the second half of the 1990s. As Paul Harvey would say, now you know the rest of the story! By Christmas 1990, Berners-Lee had set up a Next computer - an easy-to-program, Unix-based black cube that was the brainchild of Steve Jobs - as the world's first Web server. Using NeXT's object-oriented technology, the first Web server and client machines were built by CERN -- the European Laboratory for Particle Physics in November 1990. Since then the Web has truly encompassed the globe and access has proliferated across all computer platforms in both the corporate and home markets. If some of the other companies rented Susan Wojcicki's garage, will it be in the list of Top 10? Yahoo switched to Bing-powered search results in August 2010. Shortly thereafter, search specialists at Google began noticing that many of the results for Yahoo! searches were the same as those Google searches of the same terms. When Google published the search experts' findings, their colleagues at Microsoft only shrugged, essentially saying that such things happen, that it was no big deal. However, they immediately stopped copying Google's results. Yahoo! somehow skirted the debate altogether. However, it was not until later that the most interesting part of the story emerged. At the outset, Google's experts were very vocal in complaining about the abovementioned results. They then did an abrupt about-face, apparently accepting Microsoft's explanation. As if on a signal, all the once-spirited grumbling ceased. Both sides suddenly stopped discussing the story. The reason for this is that with the search engine market so out of balance, Google really needs at least a nominal competitor in the business. In other words, if Bing spontaneously combusted tomorrow - if, for example, Microsoft decided that there was no further need to pursue the already long-lost race for search engine dominance - this would in fact be a great blow to Google. Google would then be completely vulnerable to accusations of having a monopoly on the US search engine market, and would quickly become the next subject of the Department of Justice's anti-trust investigations. Conjoined twins Yahoo and Bing hold second and third places in the search engine market, protecting Google from allegations of monopoly, and making Bing more useful to Google than to Microsoft. Silicon Valley has a regional-network-based industrial system -- that is, it promotes collective learning and flexible adjustment among companies that make specialty products within a broad range of related technologies. The region's dense social networks and open labor market encourage entrepreneurship and experimentation. Companies compete intensely while learning from one another about changing markets and technologies through informal communication and collaboration. In a network-based system, the organizational boundaries within companies are porous, as are the boundaries between companies themselves and between companies and local institutions such as trade associations and universities. The Route 128 region is dominated by a small number of relatively vertically integrated corporations. Its industrial system is based on independent companies that keep largely to themselves. Secrecy and corporate loyalty govern relations between companies and their customers, suppliers, and competitors, reinforcing a regional culture that encourages stability and self-reliance. Corporate hierarchies ensure that authority remains centralized, and information tends to flow vertically. The boundaries between and within companies, and between companies and local institutions, thus remain distinct in the independent-company-based system. The performance of Silicon Valley and Route 128 in the past few decades provides insights into regional sources of competitiveness. Far from being isolated from what's outside them, companies are embedded in a social and institutional setting -- an industrial system -- that shapes, and is shaped by, their strategies and structures. Job mobility statistics show the extent of success of these networks: the average turnover rate for small-to medium sized firms was 35% and the average job tenure (in the 1980s) was approximately two years (Saxenian 1994). Geography probably played as critical role in this rate as the informal social contacts. The spatial concentration of a large number of technology-based firms enabled people to change employers without altering other aspects of their lives. When a person left one firm in Palo Alto for another, there was no need to move one's residence or take one's kids out of a particular school district to enter a different firm. The attitude of the Valley served as a catalyst for this risk-taking. In many cases, a small coterie of employees in a firm dissatisfied with their current place of employment would gather together after work to tinker around with some of their own ideas. They would then develop a business plan, acquire funds from venture capitalists, and seek advice from local academic sources. If they succeeded they were heroes. If they failed, many employers were located in the same town or in a neighboring community (Saxenian 1994). As people in the region became occupationally mobile, their roles became interchangeable: employers become employees and co-workers can become competitors. The result is that the engineers developed strong loyalties to technology and their fellow engineers and scientists while possessing far less allegiance to a single firm (Saxenian 1994). Although it may seem paradoxical that such cooperation would occur under such obviously competitive circumstances, Saxenian (1994) notes the motto of the region: ' competition demands continuous innovation, which in turn requires cooperation among firms.' Rapid flows of practical information became the currency of choice. Applied scientific research was constantly reworked to develop market goods. It is not surprising that rapid changes led to industrial diversification and contributed to the flexibility and resilience of the economic region (Saxenian 1994). The lack of rigid hierarchies extended to the firms themselves. The traditional delineations between employers and employees were not so sharp as on the East Coast, and in some cases they disappeared entirely. Beginning with Hewlett and Packard, many of the Silicon Valley companies sought a much more interactive environment between employers and employees. Decentralization of powers followed: major divisions of firms were given a large amount of autonomy (Saxenian 1994). In short, knocking on the doors of some monolithic corporation to see if I could get hired by big shots - such a notion never even crossed my mind. Furthermore, I hadn't come all the way to California just to sit in some cubicle. Ever since early 80th when I began writing my first book on trends in IT, I had been interested in studying the basic stages by which these startup companies developed. Not startup companies in general, but specifically those in Silicon Valley. As soon as I had the opportunity, in the mid-1990s, I went for it. After that-again, like many others-I threw in my lot with the "independent contractors". This was the right approach. You'd get contracts for two or three months to a year at a time, working for some of the newest startup companies around. I experienced every aspect of their early development, from the birth of an idea to its market debut, to the collapse of the business, or, if it so happened, to the next round of funding. I saw it all up close and, most importantly, was able to study my subject from the inside. Why was the law that enabled Silicon Valley's successful development passed all the way back in 1872 and only in the state of California? Which of the main historical features of Silicon Valley has been instrumental in its development? There have long been discussions on this subject and very different points of view have been expressed. Many believe the main reason is the unique features of Stanford University. Others point out that the Valley is an exceptionally favorable place to live on the Pacific coast and therefore any researcher, engineer or programmer who comes there for some reason is not usually willing to leave. Finally, those who actually have an interest in seeing that the research park created somewhere with their participation would obtain adequate government funding usually pay attention first and foremost to the fact that the starting period for the formation of Silicon Valley occurred during the period of one of the peaks of the "Cold War," when high-tech enterprises benefited from the "windfall" of defense programs. Let's then formulate the question more specifically for the present day - which of the differences of Silicon Valley is currently the most obvious? The answer to this question of course is known to everyone - the characteristic difference of Silicon Valley is that here you have world's fastest paced unstoppable introduction of scientific and technological innovations. Hence, it raises the following question: What was California's totally unique characteristic "component" of the local socio-economic climate, which became the "catalyst" for the process of development of technical ideas that arose here (or were imported here) at the first attempts at their formulation by inventors to market the product? In the early 1950s, the industrial park on land adjacent to Stanford University in California was one of many such parks in the country and was far from being the most notable. The spark that set off the explosive boom of �Silicon startups� in Stanford Industrial Park was a personal dispute in 1957 between employees of Shockley Semiconductor and the company�s namesake and founder, Nobel laureate and co-inventor of the transistor William Shockley. As is likely true for the majority of outstanding scientists, Shockley was not known for his easygoing nature. As a result of this ordinary �production disagreement�, eight of his leading employees decided to quit to form their own firm, in direct competition with Shockley. Shockley had only just formed his company �from scratch� a year earlier by hiring top performers from various universities, and this mutinous group of his former �students� formed Fairchild Semiconductor immediately following their departure, having received a USD 1.5 million investment from the New York company Fairchild Camera and Instrument. After several years, Fairchild gained its footing, becoming a formidable presence in this sector. Its founders began to leave to start companies based on their own, latest ideas and were followed on this path by their own former leading employees. Thus, these generations of Silicon Valley�s latter-day pioneers are called �Fairchildren�. 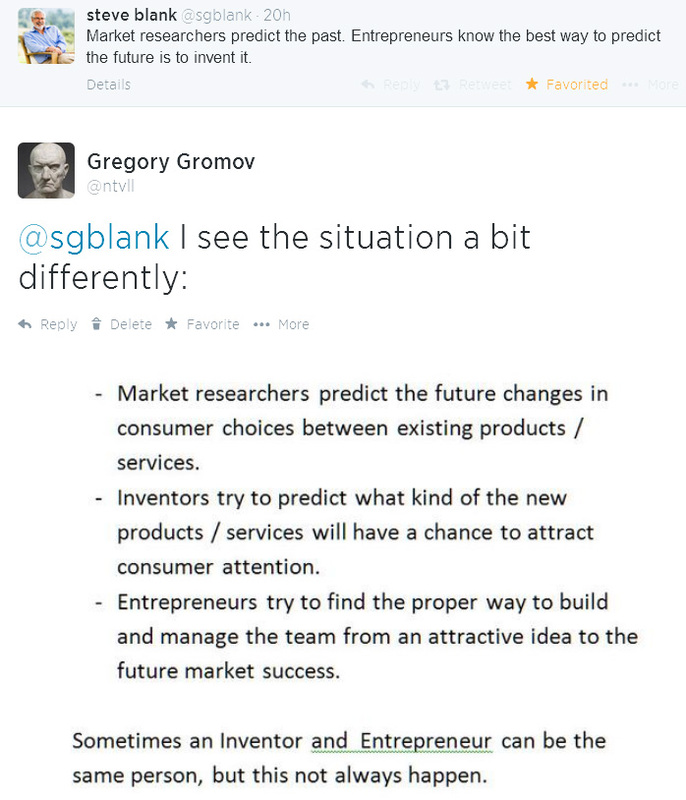 One of the most well-known of startups appeared in the earliest stages of this chain reaction. Gordon Moore and Robert Noyce, two of Shockley�s �Traitorous Eight�, left Fairchild Semiconductor to form Intel. UThe aforementioned �personal conflict� at Shockley Semiconductor can be found at the center of practically any study of the history of Silicon Valley. It is surprising that these histories fail to note that it was only in California that this conflict�a perfectly ordinary disagreement, easily found in any industrial park all across America�inspired this unique chain reaction and gave rise to the next generation of startups, who then went on to divide and reproduce, and so on in this sort of nuclear fission. We again take up this question, critically important as it is in understanding the reasons that only California�s Silicon Valley hosted such a boom. Can it be that there had never been a personal flare-up of this kind, or even on a much greater scale, in all the other high tech companies, long-established in various industrial parks around the country? Why was Stanford�s Research Park only host to Silicon Valley�s growth and development? Conflicts between creative teams and their veteran leadership were of course common in all American industrial parks, both before and after the aforementioned disagreement at Shockley. However, the crux of the matter is that, with the exception of California, all across America there are many different agreements signed between business owners and their employees that restrict the employee�s right to quit and join competing firms or, even worse, go on to create his or her own company in direct competition with their former employer. These non-compete agreements, which new recruits are required to sign (generally in the form of NCAs or NCA & NDAs) play the role of graphite rods in a nuclear reactor, slowing the chain reaction of creation of new startups all over America. Thus it was that these decelerators in the process of creating companies to compete with the industry�s established figures were legally withdrawn from the nuclear reactor of innovations in what would many years later become Stanford Research Park. As was noted earlier, it was in California (and only in California) that a particular law emerged in 1872 that defended the employee�s freedom of movement, the right to leave his or her employer at any moment, even to immediately go to work in direct competition with their former employer or to create a competing firm on their own. 1848�The first year of the Gold Rush. All over the world spread rumors of fabulous gold reserves discovered on the west coast of North America. Gold was discovered in El Dorado County, not far from Sacramento, the current state capital of California, and �El Dorado� entered the vocabulary of treasure-seekers around the world. 1849�The first tens of thousands of the more adventurous of gold-seekers from all over America arrive in California, in what was at that time still a territory of Mexico. Not counting the Native Americans, only about 2000 Americans lived there at the time... Thus, the first tens of thousands of California gold seekers went down in history as the �Forty-niners�. 1850�California gains statehood, becomes known as "The Golden State� ( California is also known variously as The Land of Milk and Honey, The El Dorado State, and The Grape State). 1872�As a result of the state�s experience during the regulation of the more violent of business disagreements during the first two decades of the state�s existence (as noted earlier, this experience was accrued particularly quickly in the first days of the Gold Rush, when the groundwork was laid for California�s government) the California Civil Code was adopted, in which the state�s lawmakers included a special provision guaranteeing the freedom of employees in the state of California to choose their own place of work. 1891�Stanford University is founded by former governor of California Leland Stanford. 1910 � Lee de Forest arrives in San Francisco Bay Area. 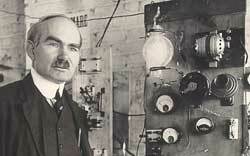 He was by then already well-known as the inventor of the triode (US Patent 879532, February 1908). 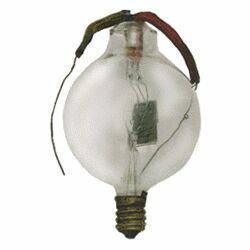 Of all the influential inventions in the development of electronics and radio technology in the first half of the 20th century, the triode turned out to be the most critical component in the development of transcontinental telephone communications, radio, television, radar and early digital electronics. Lee de Forest�s arrival in what would later become Silicon Valley began the process of transformation that turned this area into one of the world�s central confluences of talent and professional knowledge in electronics. A couple of years later Silicon Valley�s development got its first big boost from a series of important defense contracts related to World War I, reaching critical mass 40 years later, in the first decade following World War II. 1951�Stanford Industrial Park is established as a high tech center by businesses working in close partnership with the university. Among the first companies to rent space in the Park were Varian Associates, General Electric, and Eastman Kodak. 1956�William Shockley, co-inventor of the semiconductor triode arrived in San Francisco Bay Area and founds Shockley Semiconductor as a division of Beckman Instruments in Mountain View. On the road to Silicon Valley�s development, the baton was thus passed from Lee de Forest, inventor of the vacuum tube triode, to Shockley, inventor of the solid-state triode - transistor. The Nobel Prize in Physics 1956 was awarded jointly to William Bradford Shockley, John Bardeen and Walter Houser Brattain "for their researches on semiconductors and their discovery of the transistor effect". 1957�The �Traitorous Eight� leave Shockley Semiconductor to found Fairchild Semiconductor. Fairchild Semiconductor's founders, clockwise from far left: Jean Hoerni, Julius Blank, Victor Grinich, Eugene Kleiner, Gordon Moore, Sheldon Roberts, Jay Last, Robert Noyce. 1968�Gordon Moore and Robert Noyce leave Fairchild Semiconductor to found Intel. 1971 - Intel created the world's first microprocessor: the Intel 4004, term 'Silicon Valley' by the press. The amount of gold extracted per year during the Gold Rush amounted to 80 million of that period�s dollars, worth about $2 billion in today�s money. It might be possible to compare this figure with the �gold mines� discovered by the companies operating in Silicon Valley, which were able to expand on the first generation of startups only by provision of this 1872 law. For example, the New York Times described gold-rushing pioneer Apple Computer�s financial impact as �the iPhone Gold Rush�. Apple's sales in 2010 were valued at around 60 billion USD. One might also take into account the �gold� extracted by Intel, which�like many other Silicon Valley startups�would not have got its start had not the 19th century California Gold Rush given rise to the aforementioned 1872 law. Intel�s patented �silicon gold mine� produced about 40 billion dollars of sales this year. This modern-day gold extraction, legally speaking a direct result of a law dating back to the California Gold Rush 100 years previous, has brought financial gain on the order of hundreds of billions of dollars, earned by tens of thousands of high tech companies in Silicon Valley, all mining the seemingly bottomless gold reserves of information technology. Facebook: Inventor and Entrepreneur -- Mark Zuckenberg. Apple: Co-inventors -- Steve Jobs and Steve Vosniak; Entrepreneur -- Steve Jobs. Click here to download a mobile friendly PDF version of this History. Permission is granted for use of this "Silicon Valley History" for educational, non-commercial purposes as long as it remains unmodified and source is acknowledged. For all other uses, please contact the author first. 2. World Wide Web as a Side Effect of Particle Physics Experiments. 6. "Living History" of Hypertext. What is the nature of World Wide Web? History of the Internet. We all need it. We all want it. But how did it happen in the first place? Gregory Gromov provides a ... comprehensive ... history of the Worldwide Web before it was the Net we all know and love. By Matthew Holt. Gregory Gromov provides an impressionistic overview in 'The Roads and Crossroads of Internet's History,' ... with a particular concentration on the development of hypertext and the Web. The Roads and Crossroads of Internet History by Gregory Gromov ... can be a great resource where an informed �Net surfer can come and let hypertext do the walking and the inventors of the �Net themselves do the talking. Gregory R. Gromov's The Roads and Crossroads of Internet History is probably the history that most students will enjoy as it is sprinkled liberally with files that illustrate his points. Commencing with Internet pre-history work your way through 9 sections to read about the web, browser wars, and Xanadu to name a few topics. It is a long essay but extremely interesting. The Roads and Crossroads of Internet History by Gregory Gromov ... possibly not the first place in the pool where a non-swimmer should take the plunge, this colorful and quirky site can be a great resource where an informed �Net surfer can come and let hypertext do the walking and the inventors of the �Net themselves do the talking. The Bulletin. Special Libraries Association, San Francisco Bay region. The School of Information Management and Systems (SIMS) -- a graduate program at the University of California, Berkeley. For anyone who has ever wondered how and why the Internet was created comes this extensive essay, 'The Roads and Crossroads of Internet's History.' 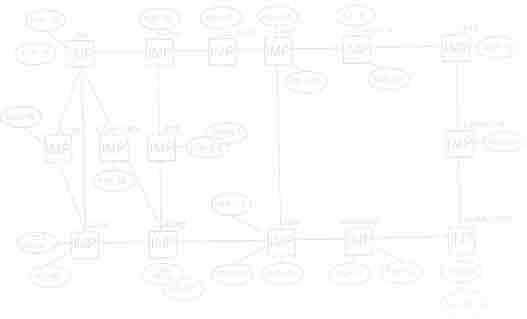 With this document, users can follow the development of the Net from its early stages as a military communication system to the multimedia extravaganza we know today. an excellent 9-part review of the Internet's history and its relationship with the information revolution . Very informative and quite amusing at times too!